Happy Easter! Easter is a holiday that brings back a lot of memories from my childhood. 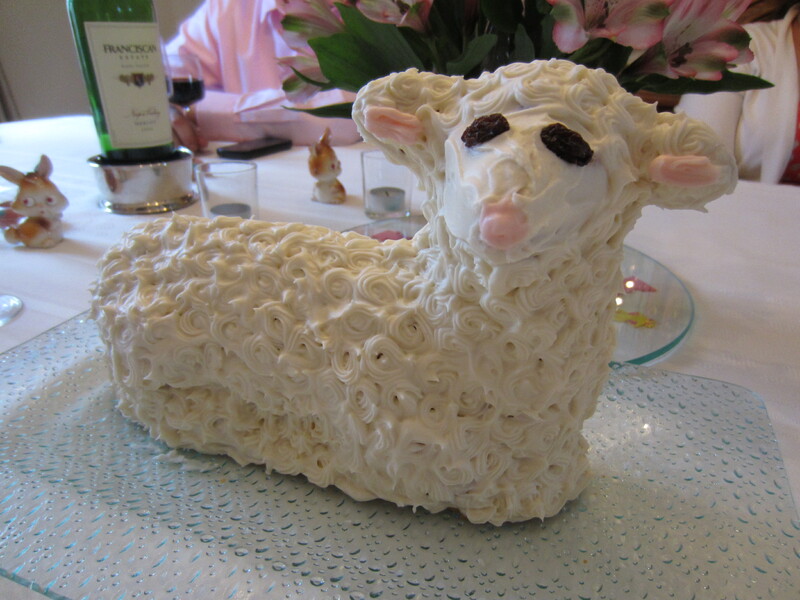 One of my favorite memories is the Polish tradition of baking the Lamb Cake, then placing it in a basket to take to church on Holy Saturday to be blessed with samples of the food we would eat for Easter dinner. The basket would even include decorated hard-boiled eggs, lamb molded butter, salt and pepper shakers and a small carafe of wine. 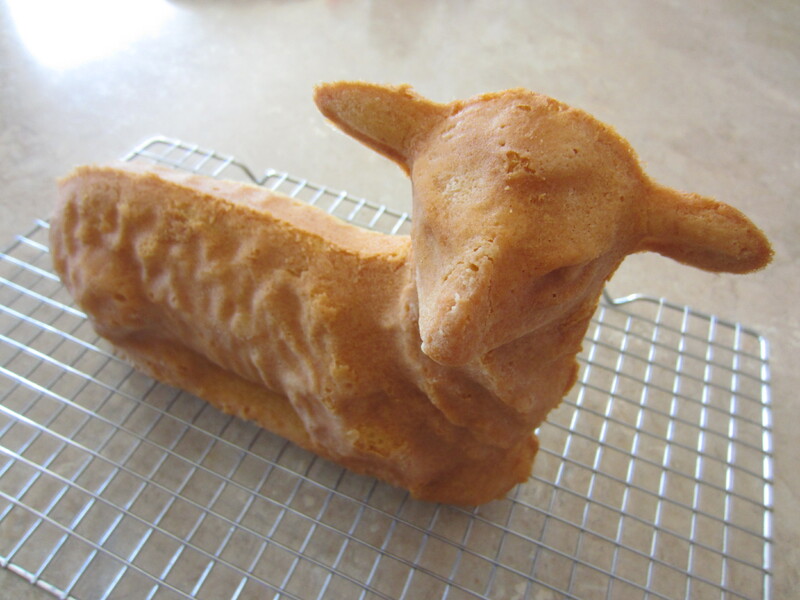 I borrowed my Mom’s cast iron lamb cake mold. It is very important to grease the pan and every nook and cranny very good, then dust with flour! 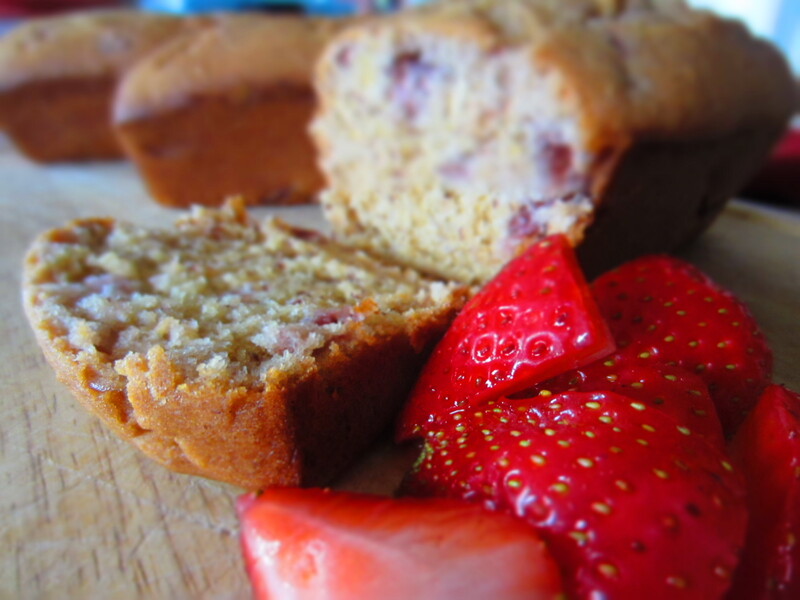 Close your eyes, take a deep breath and say “I only eat this cake once a year”. Preheat oven to 350°. 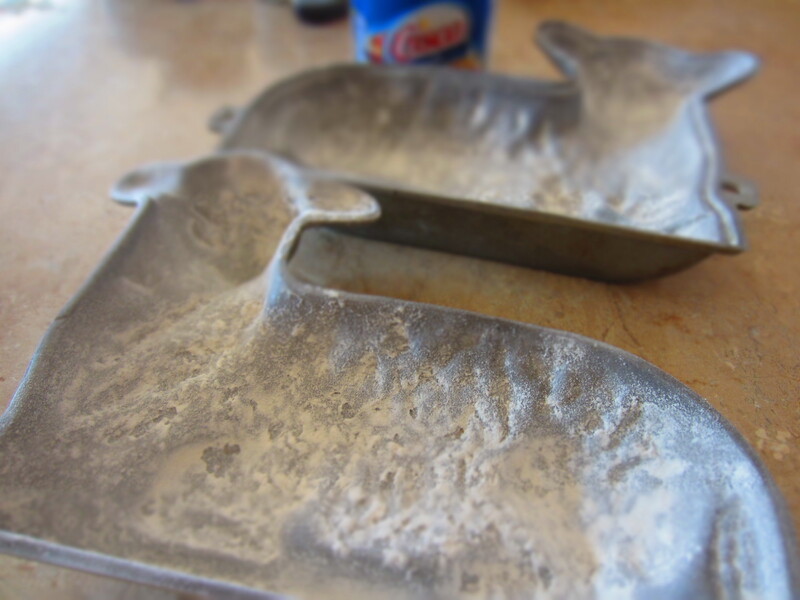 Grease both sides of the cast iron lamb mold, then dust with flour. Cream the butter and sugar with a mixer until light and fluffy. Add vanilla extract, the gradually add one egg at a time, scraping the sides of the bowl. Once combined, reduce mixer speed to low and gradually add the flour and baking powder. 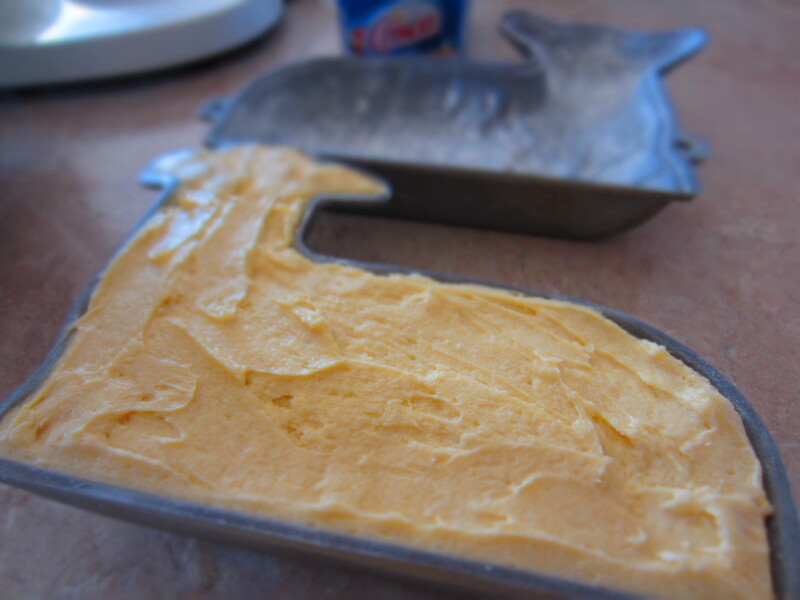 Place the batter into the bottom of the mold. Cover and bake for 45 minutes, then uncover and bake 10 more minutes until browned. I also made 12 cupcakes with the remaining batter. 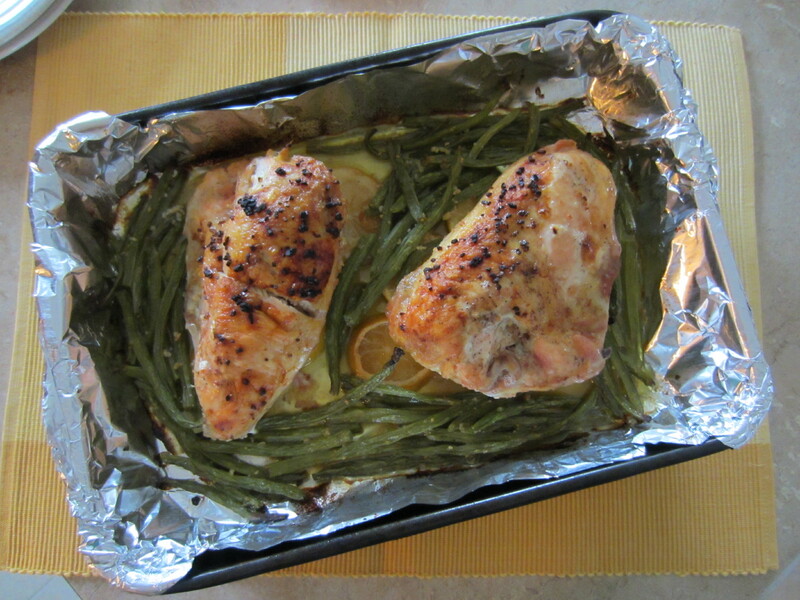 Bake in the same oven for 25 – 30 minutes until toothpick comes out clean. Gently unmold the cake and let cool completely before decorating. For this cake, I used cream cheese icing and piped it in swirls. Raisen eyes are very traditional. What are you traditions for Easter? Hope everyone had a wonderful holiday and Happy New Year! 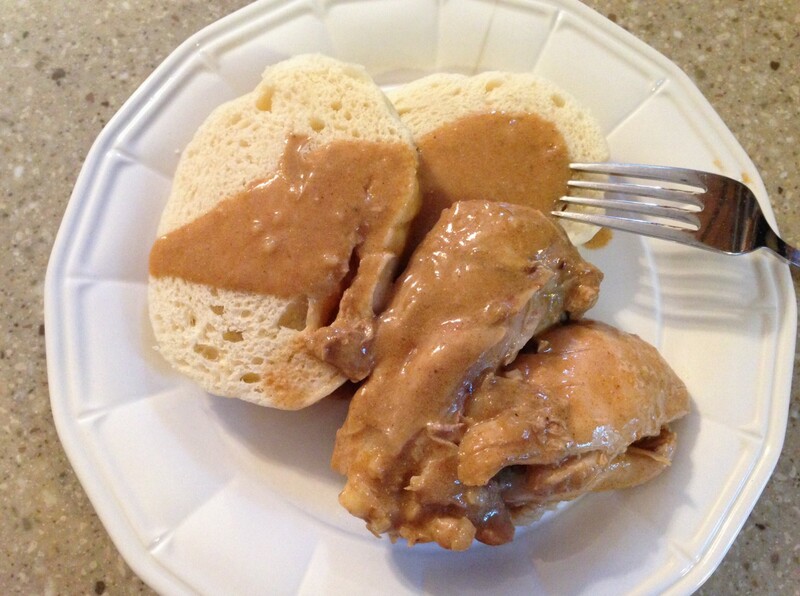 This was one of the first recipes that I tried with my Christmas gift – a food processor. I had a mini prep machine and used it all of the time to chop smaller items. But, I figured with all that I am cooking, I could really benefit from a food processor. I am loving it!! For the holidays I picked up a spiral ham at my local grocery store for our Christmas Eve dinner. I am glad it dawned on me to save the bone once I cut the meat off of the Ham. What a tasty soup it made….Ham and Pea Soup! Even the kids liked it…though they needed a little coaxing to try it, probably because it is not one of the prettiest soups they have seen. But my, was it yummy and quick to make!! Heat oil in a large pot and add the carrots, celery, leeks and onion. Sautee until softened, about 8 minutes. Add water, chicken soup base, split peas and ham bone. Bring to a boil, then reduce heat and simmer for 35 minutes. Remove the ham bone and trim meat off and reserve. Puree about half of the soup in a blender or use an immersion blender to puree to your liking. (I prefer some chunky vegetable left in the soup). Stir in diced ham. Salt and Pepper to taste, if needed. Why not freeze some ham and pea soup for a cold snowy day!? How pretty and festive are these? 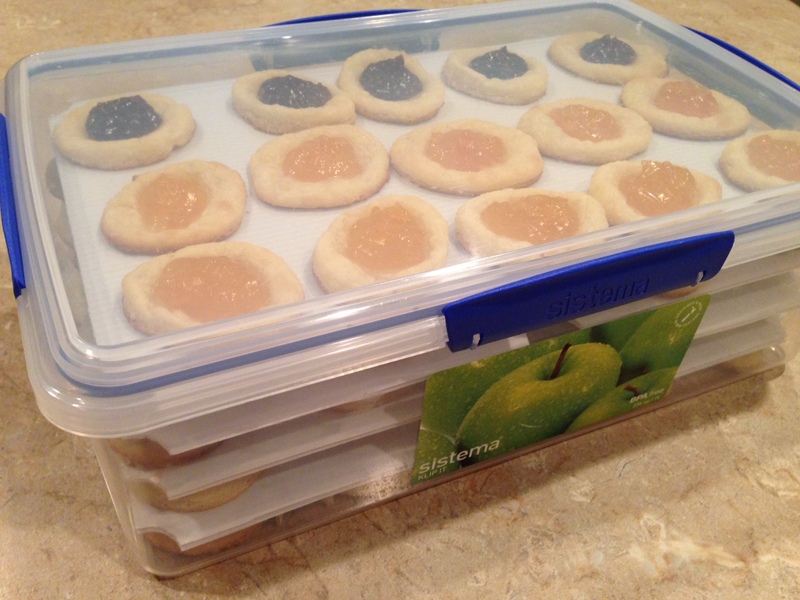 Maraschino cherries are the perfect addition to a basic shortbread thumbprint cookie. 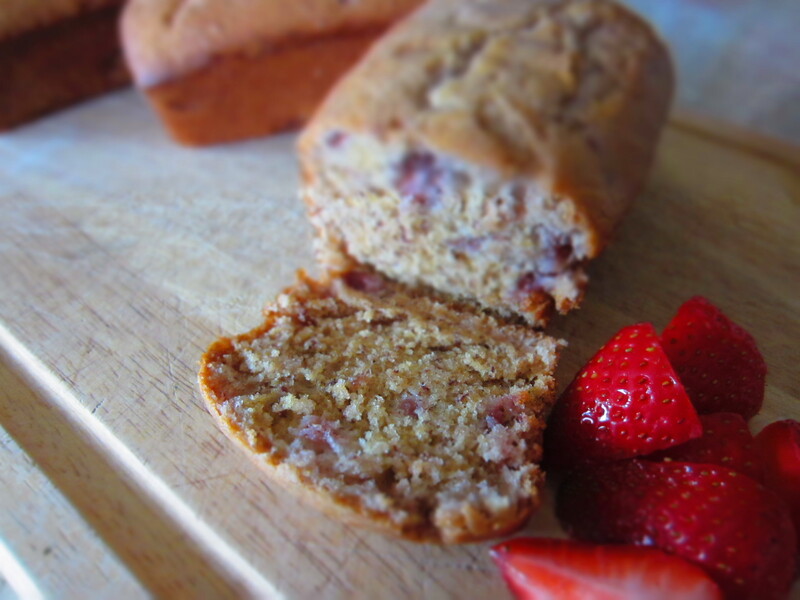 Combine that with the chocolate kiss on top…..and you have WOW! Preheat oven to 325 °. Cream butter with an electric mixer. Gradually add confectioners sugar, salt, cherry juice and almond extract until combined. Slowly add flour until dough forms, then add cherries. 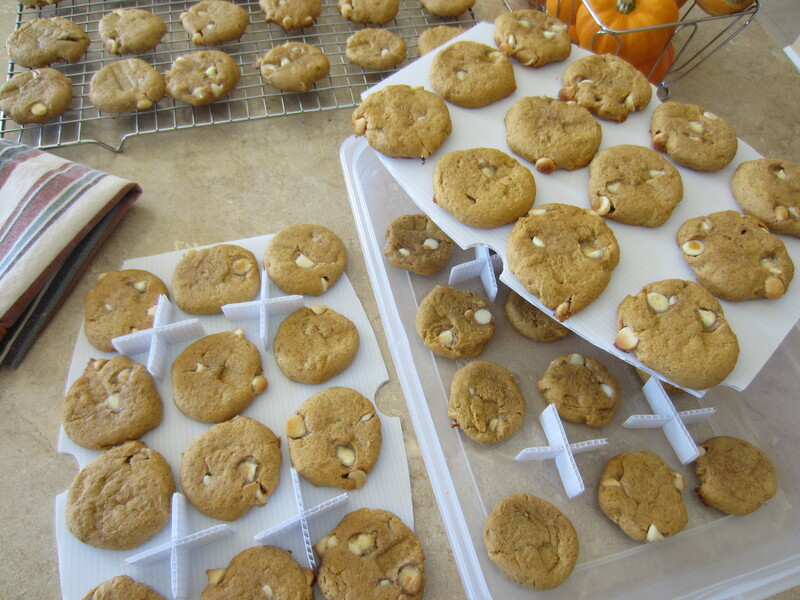 Place one inch balls of dough on a cookie sheet and gently press the center of each cookie with your thumb until the cookie is about 1/2 inch thick. Bake the cookies about 14 minutes until the bottoms are lightly browned. When removed from the oven, press a chocolate kiss into the center of the cookie. 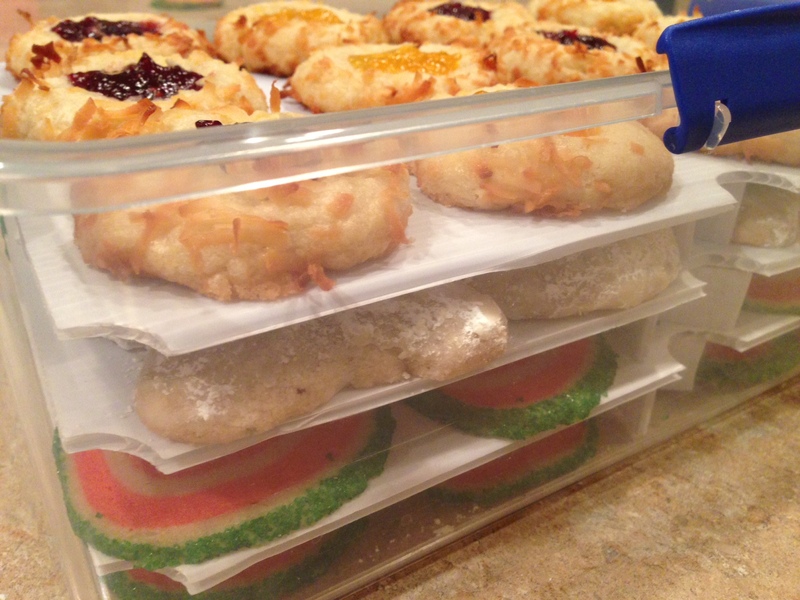 Transfer to a cookie rack to cool. 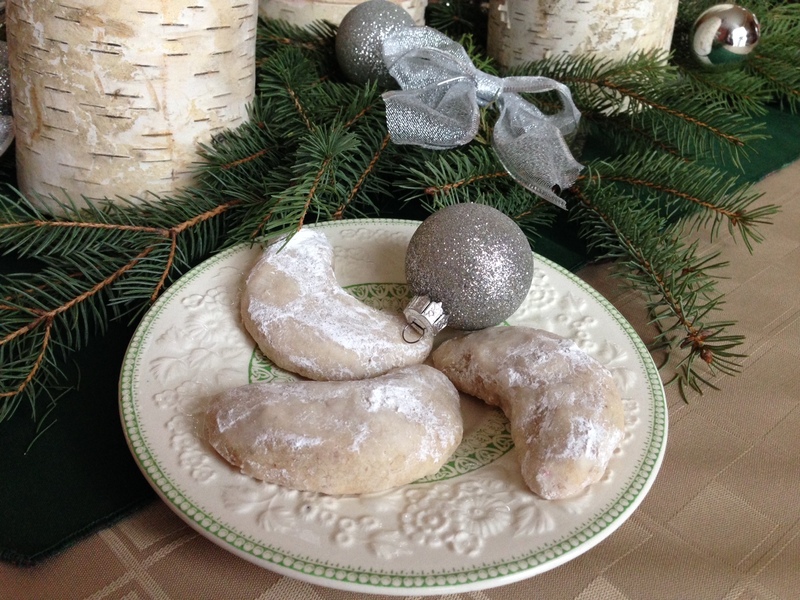 These are the perfect cookies for my kids to leave out for Santa on Christmas Eve. 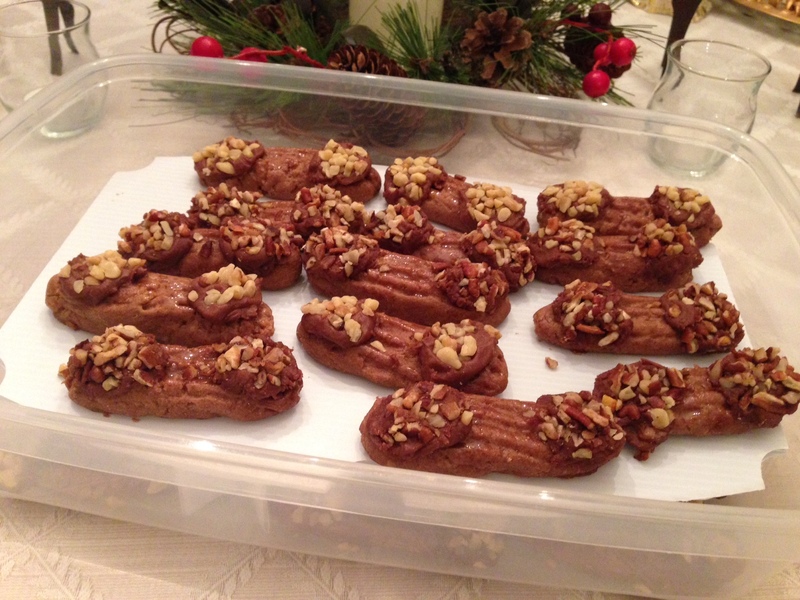 I think Santa AND his reindeer would really enjoy these! We were inspired by the Bakergirl blog with this recipe mainly because these are adorable and you know what…they are delicious too! The combination of peanut butter, chocolate and the salty pretzel cures every craving. 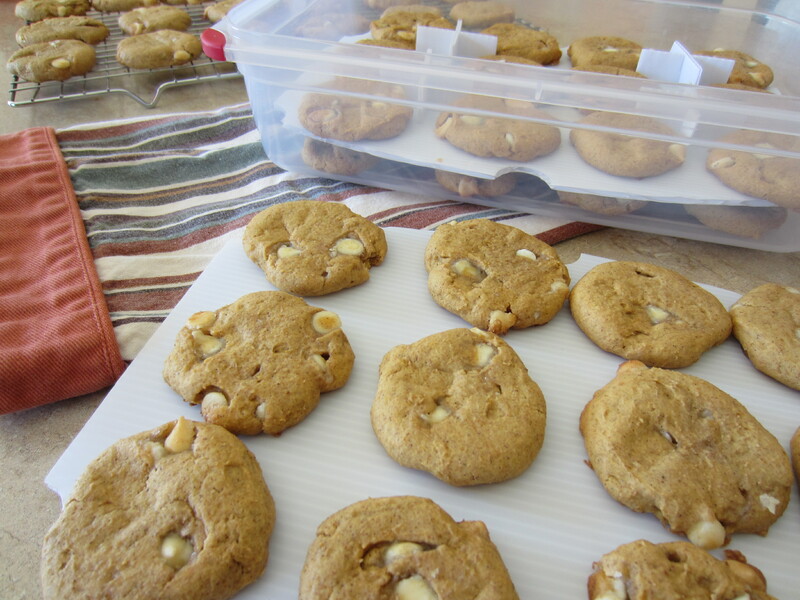 I am sure these cookies could be made with sugar cookie dough too, but we followed her peanut butter cookie recipe. We couldn’t find mini chocolate covered pretzels, so in order to keep the cookies smaller we cut the small chocolate covered pretzel in half. 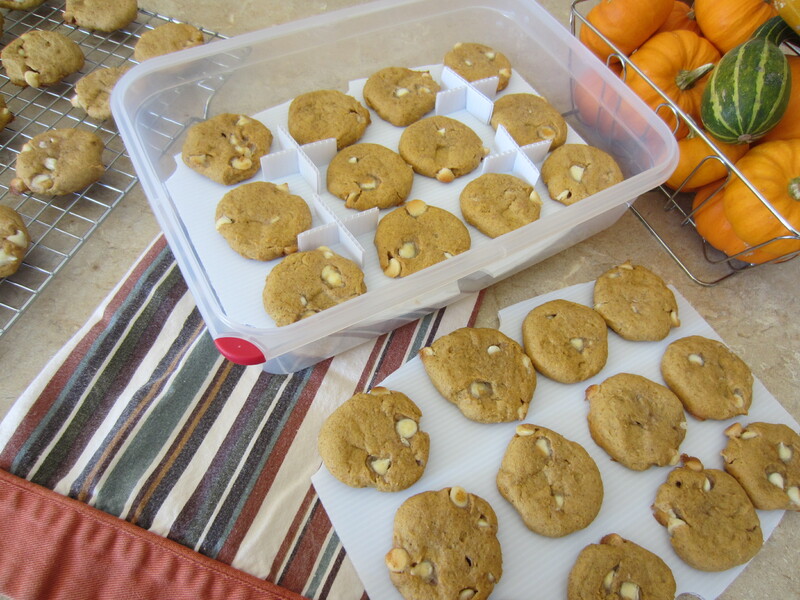 I used my 1 inch cookie scoop to place a ball of cookie dough onto a cookie sheet. Then pressing the dough while pinching one end to make the nose before baking. 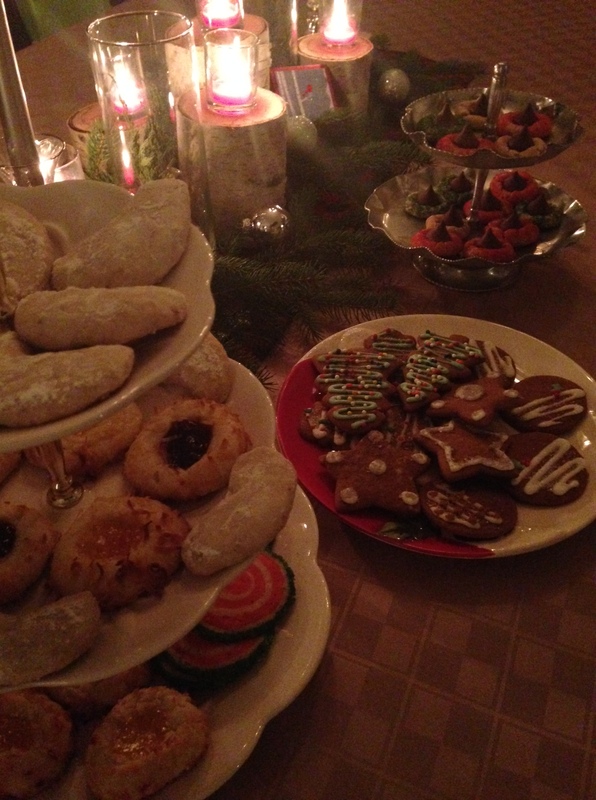 Once removed from the oven, put the pretzel halves in place, the mini brown M&Ms for eyes and the regular-sized red M&M for Rudolf’s nose. 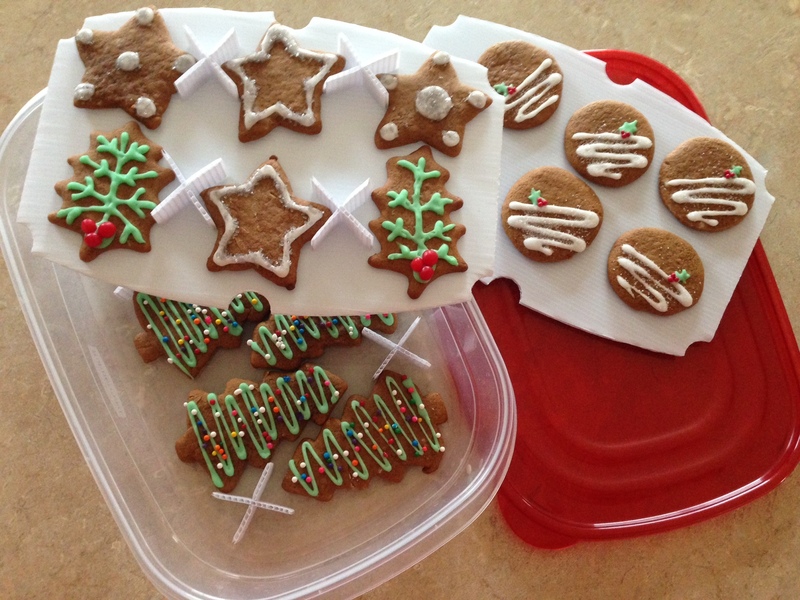 Let cool before handling because the decoration get very melty. How cute are these? 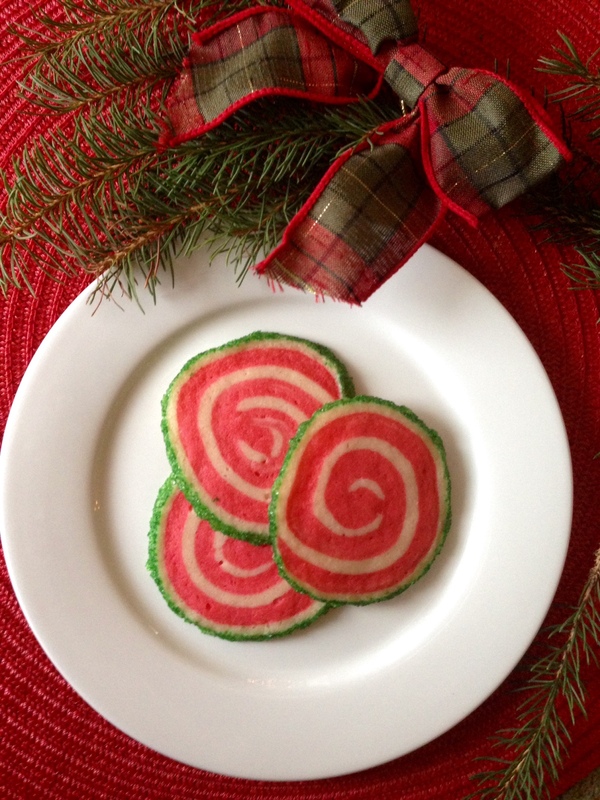 These cookies will definitely get you in the holiday spirit!